Morzine, a little town of a few thousand year-round residents, is nestled in a picturesque valley in the Northern French Alps. For a town that seems to be quietly tucked away from the world, it has a rich history that has seen it on both sides of the Swiss/French boarder and numerous thriving industries. In fact its namesake is derived from the Latin word ‘morgenes’ meaning border area. A commune that sits at 1000m altitude in the Haute-Savoie, Morzine has a story that goes back way beyond its introduction to skiing in the 1930’s, believed to explain why its inhabitants are so passionate about retaining its charm and identity. Since its humble beginnings, this quaint mountain town has attracted a large international interest and is now famous as one of the best ski resorts in the world. Starting out as a Grange to the Cirstearcean Monestry of Saint-Jean-d’Aulps around 1181, Morzine provided an ideal location for monks to work the land, provide their communities with sustenance, and divide resources. This activity thrived in the valley for hundreds of years until the eventual independence of Saint-Jean-d’Aulps from the Monestry in 1531. The subsequent two hundred and fifty years were characterized by peaceful farming and the continued development and prosperity of the surrounding mountain villages including Morzine. By 1800 technological advances allowed the areas to successfully mine highly sought after slate, and this lucrative activity stood Morzine in good stead for the future. As slate mining began to decline, novel summer tourism brought new industry to the area, and eventually the interest in winter past times and thrills grew as well. As skiing began to gain traction in the early 1900’s, the town focused their financial attention on tourism and this lead to the formation of the Morzine ski club in 1910 and the building of the town’s first hotel “The Grand Hotel” in the 1920’s. 1934 saw the opening of Pleney cable car, and was only the second to be constructed in the whole of France! Don’t worry – it’s had an upgrade this winter! Originally used only by hikers, eventually skiers became more daring and moved from the more gentle slopes at the bottom of the valley to the steeper, more daring slopes used today. In 1960 Jean Vuarnet, a Morzine local, won Olympic Gold at the Squaw Valley Olympics bringing pride and prestige to the little alpine town. He then went on to inspire and prompt the development of Morzine and the adjoining resort Avoriaz; later helping in the expansion of the Portes du Soleil, and eventually linking resorts all over France and Switzerland. 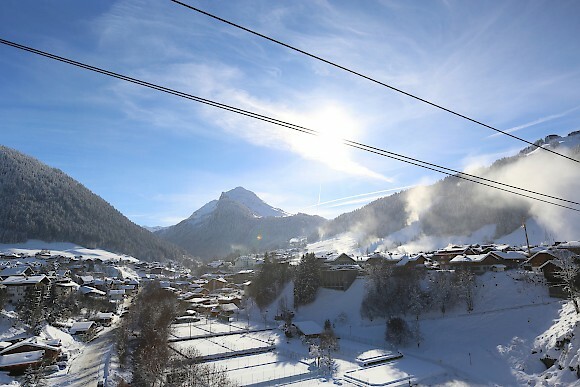 Now with an abundance of chalets and hotels, Morzine has a thriving tourism scene in both winter and summer. 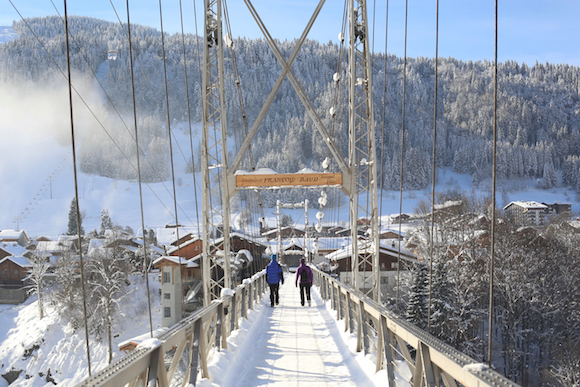 However, one thing Morzine’s long history has given its inhabitants is a sense of who they are. There is a pride in being a Morzinoise and this translates into a dedication to preserve and grow their town, protecting the very features and feelings that make it a firm favourite destination. Previous: Pre Season Snowfall. 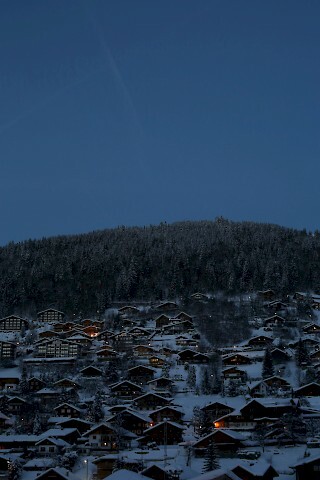 What it looks like in the Alps! Next: Meet Chalet Chambertin’s Winter 2016/17 Staff!